This is a great company. I never thought I could use this kind of service. I signed up for it and, the people at habiliss did a good work in my task. Good work. My assistant from Habiliss booked flight tickets on my behalf. I was afraid that I wouldn't get one. But my virtual assistant booked one for me at best prices ever. 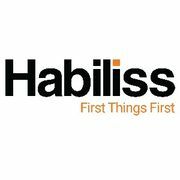 I will definitely recommend Habiliss to all. Express service. I ask for some help with reporting stuff and they finish by end of the day. My DA is super attentive and pro active. He also tells me the updates in new technologies and how its useful. Best VAs. Timely delivery of output. I had to shift my house and was confused with different movers and also concerned about price, insurance and other factors. They researched, spoke with different people and gave me options to choose. Its done with in the budget with all the facilities I needed. Also, they helped with webdesign for my startup. Nice VAs. Being a busy mom, I din have much time to spend with my children. I was under stress and it became tough for me to manage things. My husband bought me a virtual assistant from Habiliss.com. Initially, I thought it could not help me much. Later I started to delegate most of my day -today work with Habiliss. Now my work is greatly reduced and I am able to spend much time with my children. Thanks to my husband,! I tried Lead generation with Habiliss. I got more potential and valid leads for my Business which was actually useful. I will definitely try Habiliss again. Simply Awesome. I am taking help from them for more than an year. They take care of any task I gave them. May be personal or work related. The help me in getting stuff for my articles and preparing ppt's. They do most of the part. I rely on them for most research related tasks. Wonderful response time and they do what I expect . Very punctual. I love them to be my VA. I have to write a detailed review about Habiliss. I have been with them for a year now. They have been one of the pillars in helping me with my start-up. Last year, when I started my small printer ink business, I was lost, clueless, and desperate for resources with very little fund. Cant thanks Habiliss virtual assistants, especially the marketing team, who helps me strategize everything my social media to getting start-up funding. Today I am still using them for sales pitch creation to email management. I even have an FTE with them for payroll. I am a social media novice, thanks to Habiliss, my brand has good visibility on Facebook now. I am also learning a lot from their strategy. It costs me a fraction of what I would otherwise spend on a personal assistant and the best part is they are available 24/7. So I would say this is a cool new concept and I am glad I picked the right company.